"Shaping the future of transitional care by being the preferred choice". When you visit one of our communities, you’ll see how we deliver exceptional healthcare services in a caring and dynamic environment. 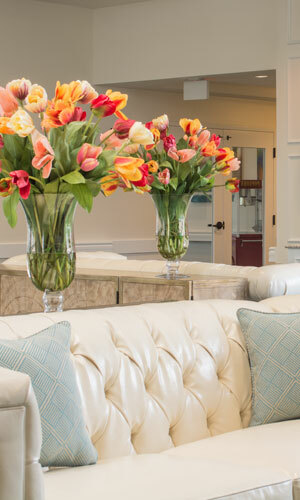 We’re proud of our professional staff and the welcoming environment they provide. With 29 communities in four states, we’re big enough to be professional, but small enough to be personal. Atrium’s structure means we can devote resources to track and implement the latest innovations in healthcare delivery. We can assure compliance with safety and employee training standards, among others. Our size also allows purchasing power to keep costs down. Finally, we have the resources and knowledge to adapt to change in the fluid environment of Medicare, Medicaid and insurance regulations. 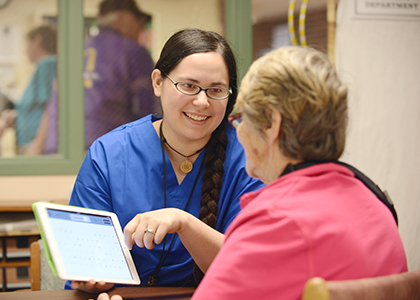 Atrium Centers Inc is a leading provider of short-term post-acute rehabilitation and long-term nursing care. We currently operate 29 skilled nursing centers in Ohio, Michigan, Kentucky, and Wisconsin. Our reputation is defined by our employees, the caring and skilled staff members who are the foundation of our award-winning communities. We are committed to treating each individual with respect and dignity in a homelike environment.